Dawn follows the once stormy then miraculously calm night of my last post. Jesus has crossed the Sea of Galilee west to east for his first mission into Gentile territory. Reference Mark 5:1-20. Immediately upon landing he is confronted by a demon possessed man. So violent was this man, he’d been known to cut himself & shriek uncontrollably. So strong that chains & fetters couldn’t hold him. So problematic he’d been driven to live among the dead in cave tombs rather than in town or a village. Jesus asked him, "What is your name?" Legion. That was 6000+ Roman soldiers. This man was possessed by more demons than could be counted. 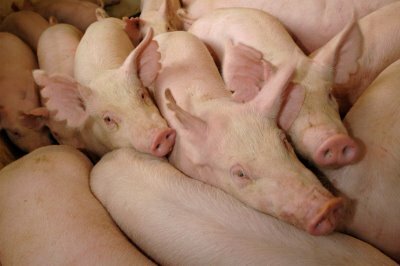 Demons, speaking through the man, ask Jesus to be merciful enough to allow them to be sent into a herd of pigs nearby. About 2000 of them. Jesus allows this. Then, explainable only by the desire to cause harm to some incarnate being, the demons rush the pigs down the steep bank to drown. Herdsmen run to spread the news. The returning crowd sees the restored man sitting calmly & clothed. “They were afraid,” Mark 5:15 states. They ask Jesus to leave their region. Formerly fearful of the formerly fearsome demon possessed man. Now fearful of The Man possessing the power to cast out demons. It may appear that they cared more for the pigs than they did for their newly freed neighbor. I was just about to write about that. But. The Bible makes no statement of it & we can not know what they were thinking. We can know what we would be thinking. If those were my pigs & that frightening fella & some Jewish miracle worker from across the Sea had caused it, I know who I’d be mad at. I’d think my first reaction would be anger. My pigs. My property. Gone. And for what? The chain-breaking menace? The shrieking nuisance? So this Jewish preacher guy could display some crazy power? I’d need to ask the forgiveness of the Jewish Preacher with crazy power. I care more for pigs than a person. Yes, the financial loss is real, but the restored man is, well, unreal. And does it make a difference whether it’s two pigs of 2000? Just mine or my friends’ too? Or should the soul of another person be worth much more to me. A man is free. Clothed. Peaceful. A miracle has occurred. What legions haunt the souls I know? What habits possess? What sins control? Who has power to cast them out? What is that worth?